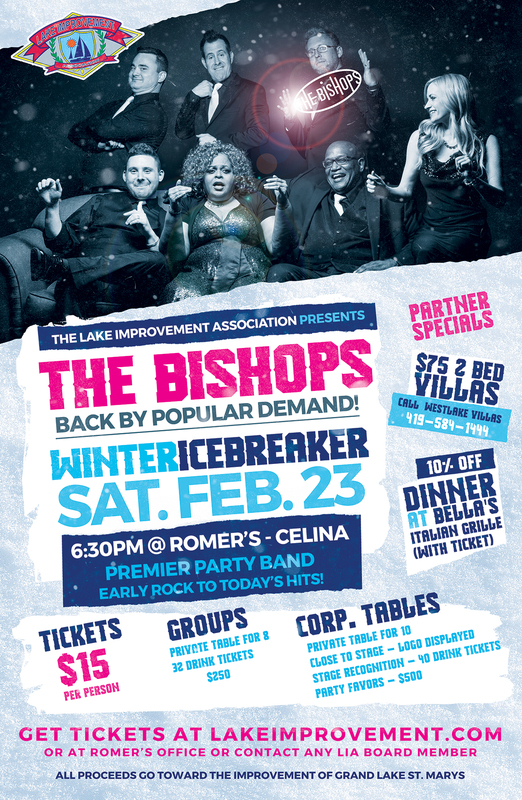 Back by popular demand, The Bishops will be performing hits spanning 60’s rock to today’s chart toppers at the Lake Improvement Association Winter Icebreaker 2019! 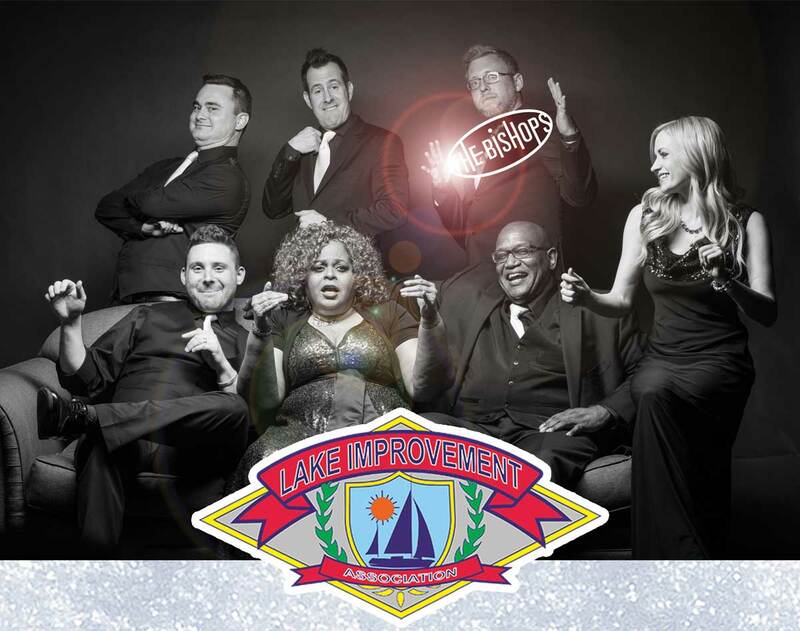 All proceeds from this event go toward improving Grand Lake St. Marys! The event will be held at 6:30 p.m. Saturday, Feb. 23, 2019 at Romer’s Catering in Celina, OH. ONLINE REGISTRATION IS CLOSED… BUT YOU CAN GET TICKETS AT THE DOOR! DOORS OPEN AT 6:30 P.M.! Be sure to check out our partner specials! 2-bedroom villa at Westlake Villas – just $75! Stay alive, don’t drink and drive! Call Westlake Villas at 419-584-1444 to reserve your room before they run out! 10% OFF Dinner at Bella’s Italian Grille – just show your ticket to get a 10% discount when you dine at Bella’s!